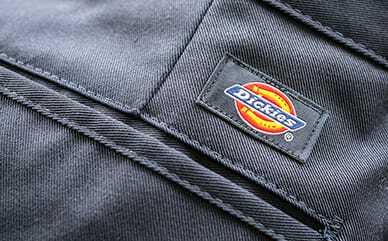 Put a modern twist on a classic style with Dickies Girl Juniors’ High Rise Wide Leg Skater Jeans with Belt. Designed with a high rise and wide leg, these pants are supremely comfortable. The 100% cotton fabrication keeps them soft and breathable, while the five pockets mean you’ll have space to store your necessities. The logo belt will keep you looking good and standing out in a crowd.